I remember my very first encounter with wine a few years ago. I won't say it was unpleasant, but I had to 'endure' and avoid wincing or making any funny faces, in case my date felt offended that I didn't appreciate his favorite meal companion (meh! I was still an alcohol virgin back then). I didn't understand why people would 'ruin' such a tasty, sweet grape nectar, to make such a bitter liquid. If there's anything I could thank my ex for, it would be for introducing me to wine and Italian food. That was a few years ago though. Today, after the nth degustation and wine pairing dinners, I still haven't got the whole idea yet, but at least I try to appreciate and relish in the experience. Just like black coffee, dark chocolate, bitter gourd, wasabi, cigar and whisky, wine appreciation is an acquired taste and a skill that improves by practice. 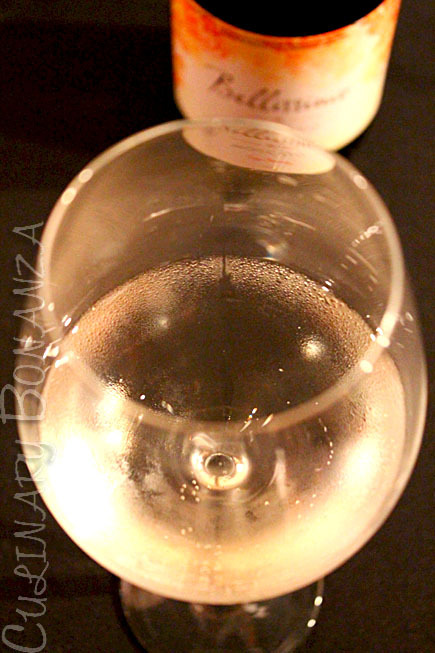 Now fast forward to a few years later, to be exact on 13 October 2012, I went to the soft-launching party of Bellissimo Moscato in conjunction of Jakarta Culinary Festival 2012 event at Grand Indonesia. The event was hosted by a notable and convivial wine expert, Yohan Handoyo and guests were served delectable spread prepared by AMUZ Gourmet. Prior to knowing what wine I was sipping, I thought I would just have a glass just for the sake of sampling. But when the wine touched my lips, deep inside I was delighted that I've finally found my soul mate in wine. This wine tasted very light on the palate, sweet and low in alcohol content, with fresh fruity bouquet redolent of lychee and peach scent. If you have been in love, you would know that euphoria, when you feel that everything is just so right. 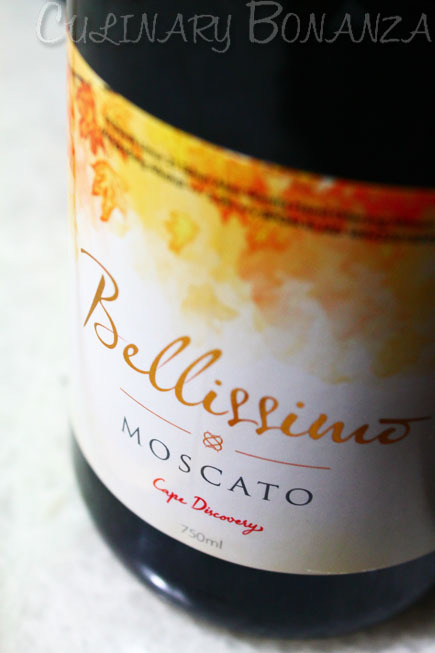 Bellissimo Moscato is made from Muscat grape grown in Australia. Its sweet taste and low alcohol content is suitable for Indonesian palate who are new to wine. Bellissimo is also affordable, with retail price sold at IDR 195,000 /bottle. With such a price tag and easily likeable taste, I'm pretty positive that Bellissimo Moscato will receive a warm welcome among Indonesian consumers. PT. Dimatique International is a subsidiary of DIMA Group, which business focuses on marketing and sales of wines in Indonesia. For business inquiries, you can contact the office at +62 21 6618835. "If there's anything I could thank my ex for.." HAHA! I bet there's a funny story behind this! Anyway, few weeks ago I had the chance to try riesling for the first time. It's not the typical of wine that I'm particular into, but I understand why so many people are fond of this wine. It is characterized by its honey-like sweetness that lingers in your palette after you drink it, very light in alcohol, not unlike this moscato that you like. You should give a try! Dear Wina, Thanks for dropping by! wait for Dimatique next event ya.